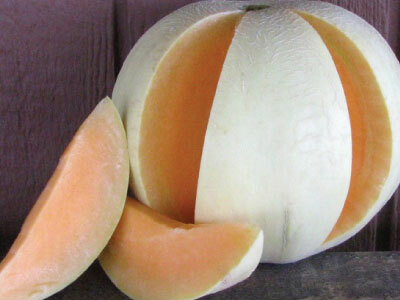 Nothing is more addicting than fresh cantaloupe on a summer day. 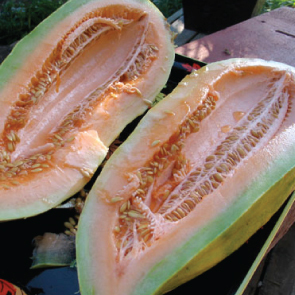 Tasting warm melon straight from the garden is an experience everyone should have. 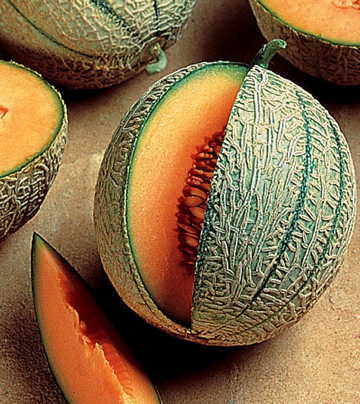 Before you know it you will have eaten the whole thing! 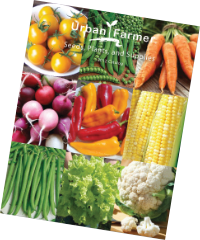 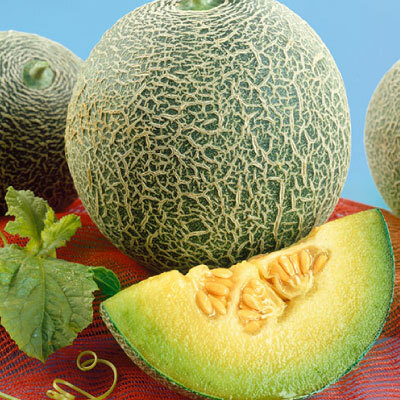 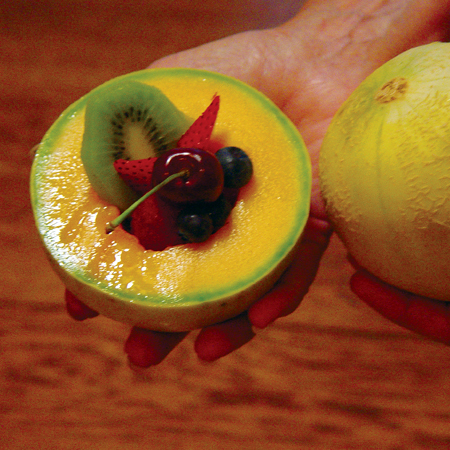 Popular melons include Muskmelon, Crenshaw and Honeydews. 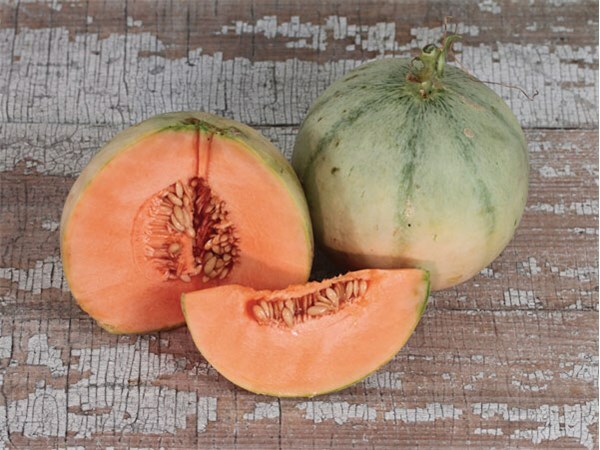 Minnesota Midget Melon is the ultimate melon for short-season areas, and the compact plants are ideal for small space or container gardens! 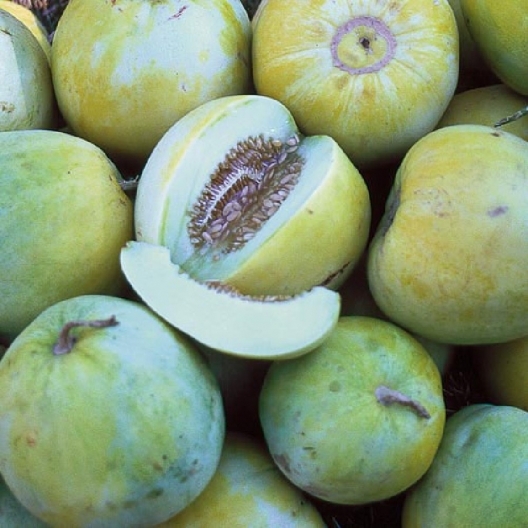 The Piel De Sapo has a sweet pale green to white flesh that is tender and a very hard rind from Spain that is common in European and Spanish markets. 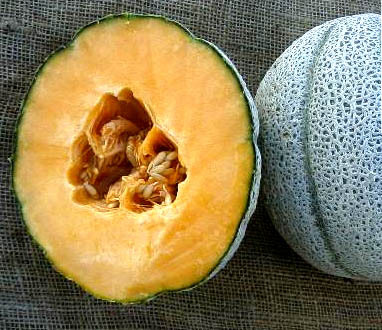 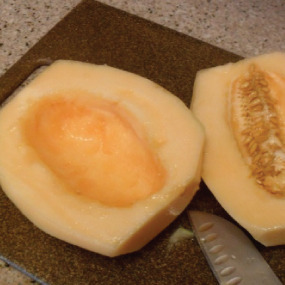 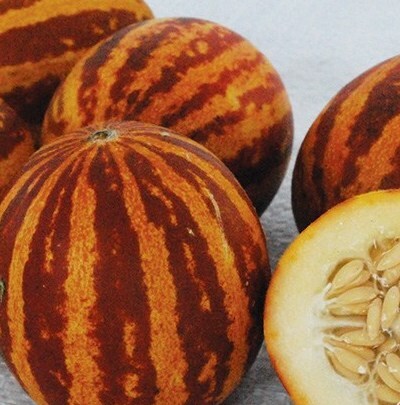 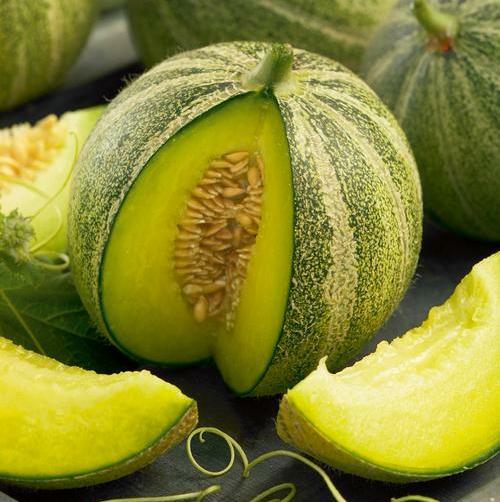 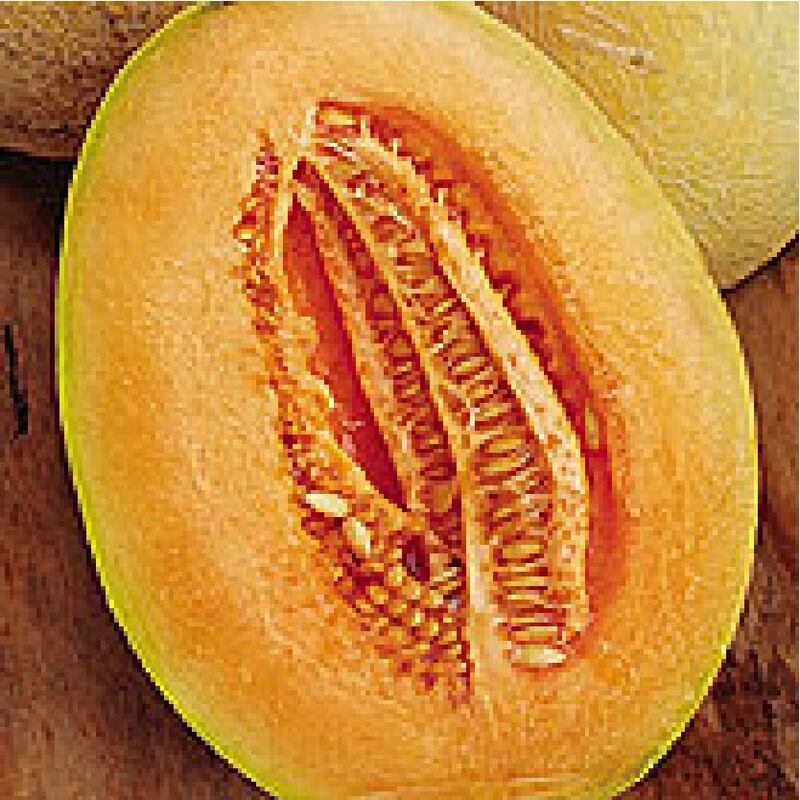 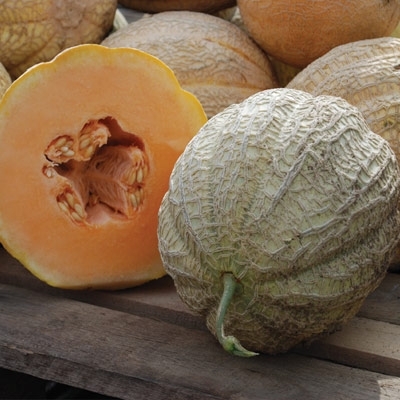 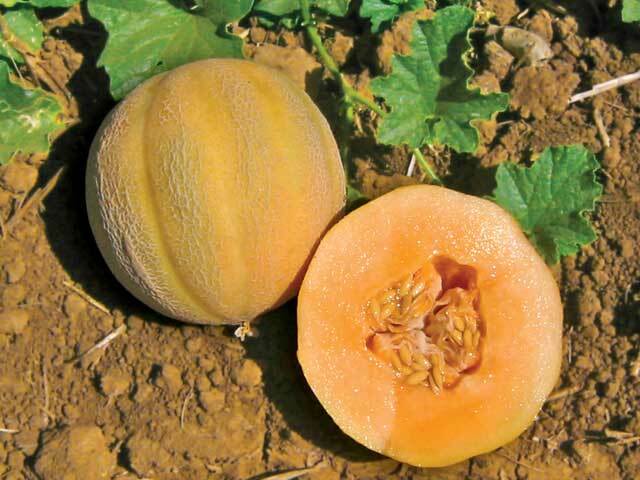 The sweet fragrant Pike Melon is a very sweet melon variety that was bred in the 1930s and is heavily netted on the outside with a juicy orange flesh. 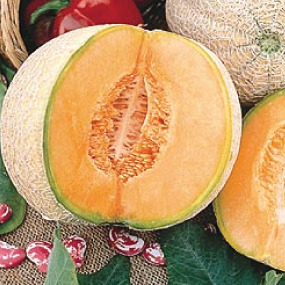 Planters Jumbo Melon is a great tasting cantaloupe that has a firm rind, smooth heavy netting, and thick deep orange flesh. 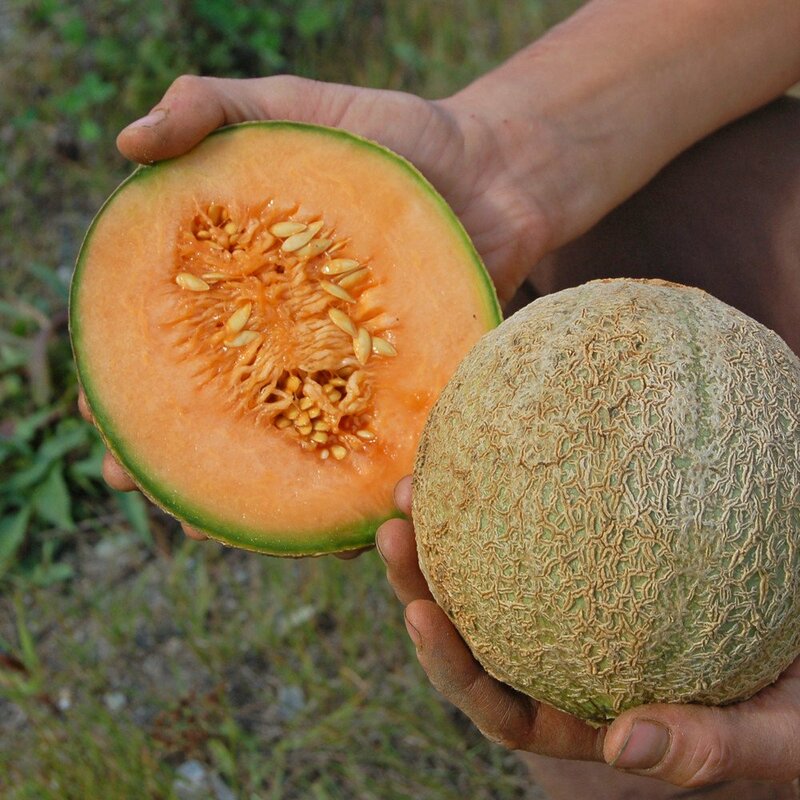 The Rich Sweetness Melon is a very petite little melon, usually does not exceed a quarter pound, that typically stays the size of a baseball! 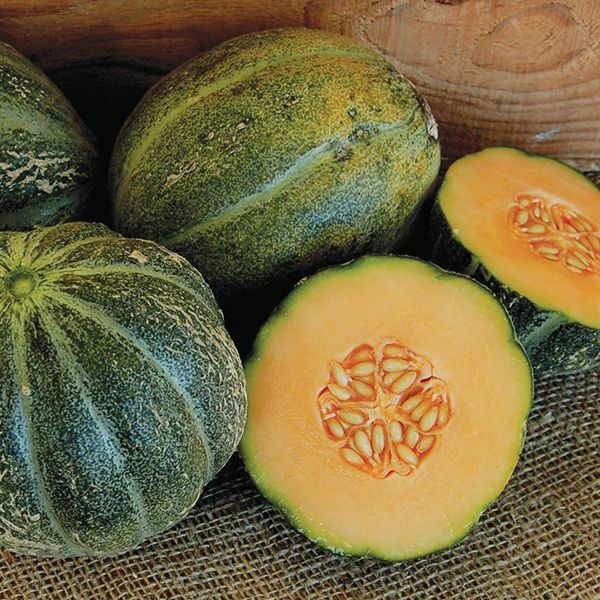 The deep fine grained green flesh of the Rocky Ford Green Flesh has a crisp, fresh taste that is good for home gardens and local markets. 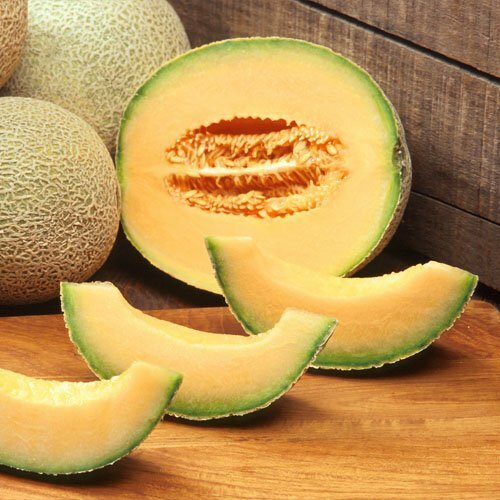 With a harvest weight of 10-12 ounces, the gray-green skin of the Sakatas Sweet Melon ripens yellow-green with a soft green flesh that is highly aromatic. 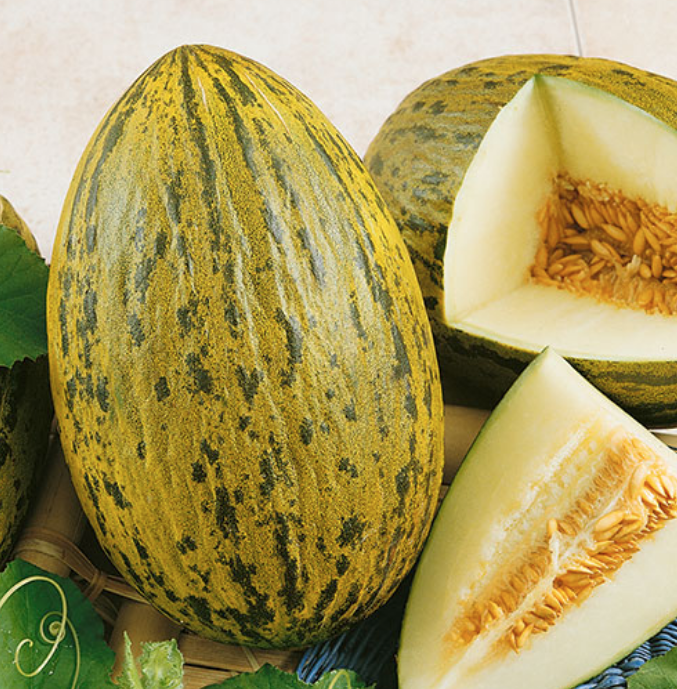 Schoon's Hardshell Melon is a large heirloom favorite that is very sweet and will maintain the taste and texture for long after being harvested! 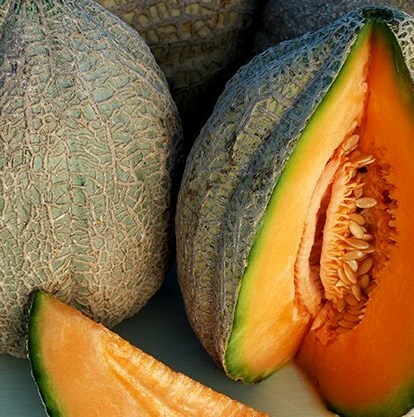 Tasty Bites Melon is a small gourmet cantaloup that was bred by crossing an ananas and a charantais, the result is a very sweet "tasty bite!" 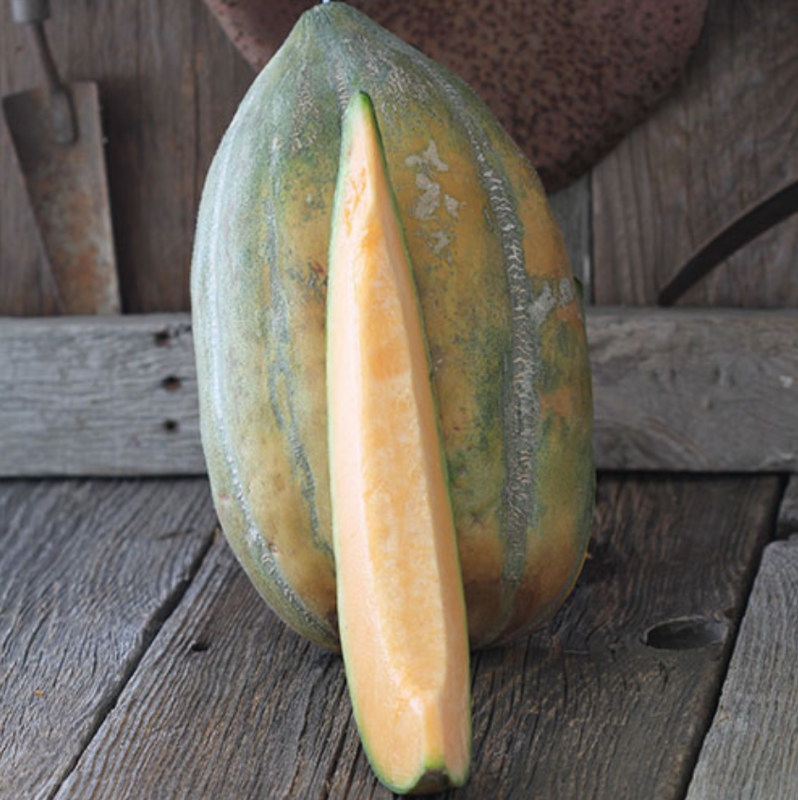 Originating in Italy, the deeply ribbed 3-5 lb. 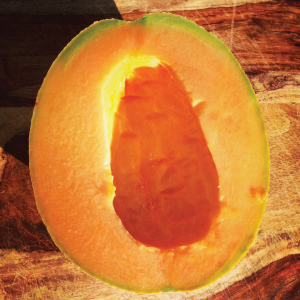 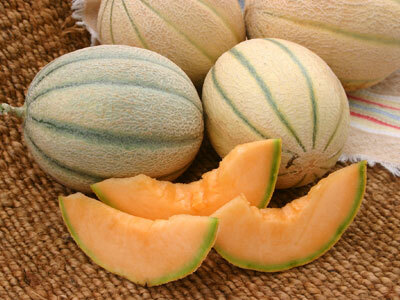 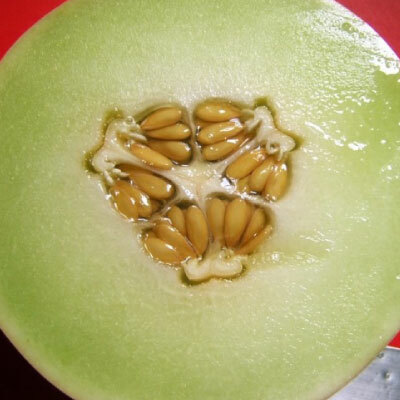 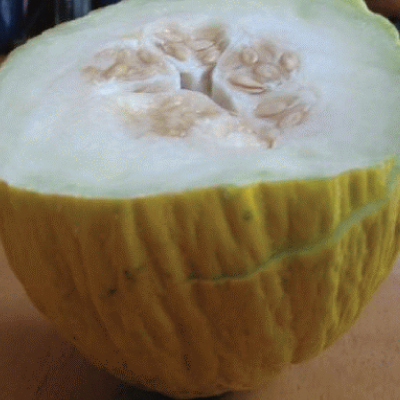 Tuscany Melon has a small seed cavity, fine rind and one of the most flavorful flesh around!